Princess Charlene of Monaco celebrates her 41st birthday today. 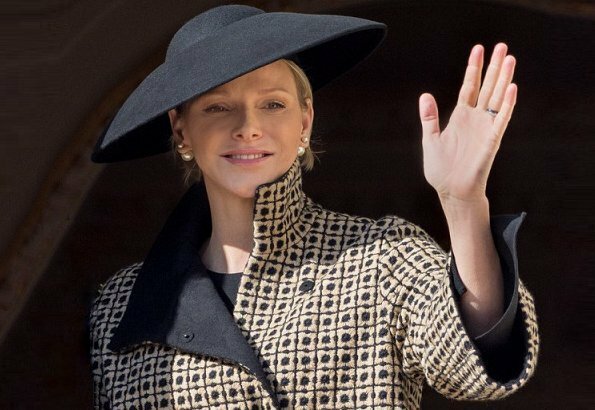 Princess Charlene (Charlene Lynette Wittstock was born on 25 January 1978 in Bulawayo - Zimbabwe), is a former Olympic swimmer and wife of Prince Albert II. Charlene met Prince Albert in Monaco at the Mare Nostrum swimming meet in 2000. Ten years later, the couple became engaged, and in July 2011 they officially wed. The couple has two children, namely, Gabriella and Jacques. Happy birthday to you, Princess Charlene. yep charlene is the most classy and best dressed of all the royal women, shes fabulous!!!!!!!!!!!!!!!!!!!! Far from it, I disagree..
Joyeux anniversaire Princesse! Vous êtes magnifique! Hope Princess Charlene had a happy birthday with the best of everything. ik ben het eens met susan joan,ik zou het zelfde hebben gezegd !!! Princess Charlene we wish you a wonderful birthday. Stay your own beautiful every day. @ Susan Joan: I totally agree!